On the third day after the fall of Singapore, the Japanese were to take possession of the city on 17th February 1942. A day earlier, all white troops had gathered at Changi Camp in order to surrender. On that very day Lieutenant General A.E. Percival, GOC-in-C, promulgated his last ‘Order of the Day.’ In this order he announced some immediate gallantry awards. Two of the awards were DSOs (Distinguished Service Orders). One of these was awarded to the Commanding Officer of the 5/11 Sikh Regiment, Lieutenant Colonel Parkins and the other to me. Since this order could not be sent out of the camp or Singapore due to dislocation of all communications, it was nicely packed, sealed and put in a steel box and buried in the camp itself. It was made incumbent on the senior surviving officer among those who were present at the time to bring this box and the order contained therein to the notice of the Army Authorities when Singapore was re-captured. No news of the award had reached me. A number of social scientists and military historians have been trying to discover reasons for Britain’s success in ruling the world while retaining its own independence throughout known history. Many are of the view that the secret of the British success lies in the fact that it always values its soldiers and the military, unlike most countries who forget them the day the war is over. No other country bestows so much honour on its war heroes. To prove their point further, they recall that before World War II; it was not uncommon to see placards hanging outside some restaurants in Paris which read, “Dogs, lackeys and soldiers not allowed.” On the other hand, even pregnant women used to get up and offer seats to soldiers in London buses. When the war broke out, they recall, France capitulated in no time while Britain remained undefeated. 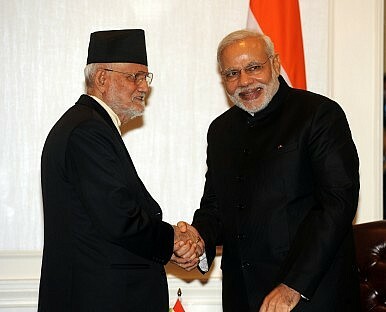 Nepal is in trouble. Since the April 2015 earthquakes, in which over 9,000 Nepali lives were lost, hurried legislative action in Kathmandu has triggered instability across the country, particularly along the Indian border. After eight and half years under an interim constitution, on August 8 the Constituent Assembly (CA) reached an agreement on seven provinces under a contested, proposed constitution. After years of political stagnation, the desperate aftermath of the earthquake seems to have reenergized the CA which aims to announce this new constitution on September 20. In the last two weeks alone, however, protests against the proposed document have resulted in 40 deaths—both of protesters and police. Much of the tension is in the Terai, along the Indian border, where many of Nepal’s minority communities reside, including most Nepali Muslims. Major protests by Madhesi and Tharu communities opposed to the proposed federalist mapping have become increasingly violent from lynching toburning people alive. The newly proposed 7 provinces would divide these communities, making them even smaller minorities in separate states. 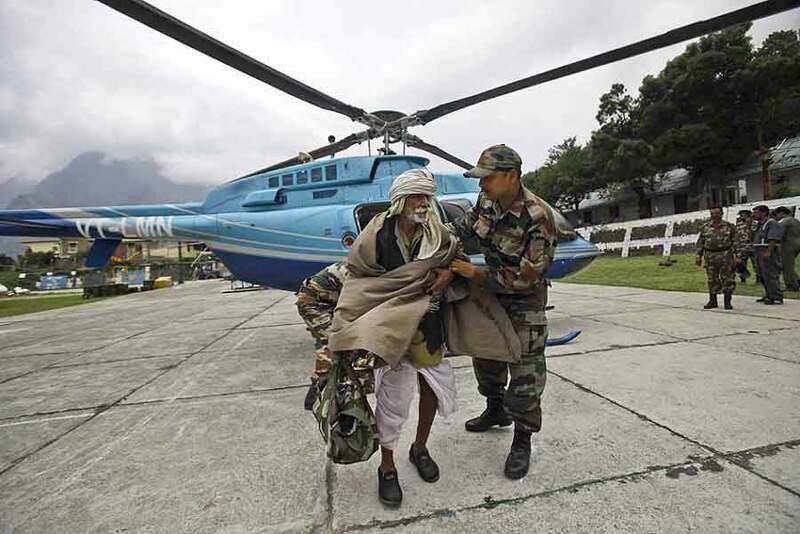 Unrest in the Terai has negative implications for India’s border security increasing the likelihood of spillovers of instability and terrorist attacks. India has an interest in postponing the constitutional process so the CA can ensure it is inclusive and durable. India stands to gain immensely from combining effective, inexpensive and logistically simple solutions with the more arduous task of strengthening important institutions and State capabilities. Last year on the campaign trail, Narendra Modi touted the catchy slogan, “Na khaunga na khane dunga”. If the Bharatiya Janata Party (BJP) were elected to power, Modi would neither indulge in corruption, nor tolerate it in his government. It was, at least in part, on the basis of such pledges that BJP stormed to power in the 2014 general election. Yet, 15 months into the government, corruption allegations once again dominate the headlines. The recent monsoon session of Parliament was a washout thanks to opposition protests over the Vyapam scandal haunting the BJP government in Madhya Pradesh, and allegations that two party officials improperly used their influence to assist fugitive cricket magnate Lalit Modi. The BJP responded to the barrage of allegations by releasing a laundry list of scandals in seven graft-tainted states under the Congress party’s rule. However, despite ample media coverage of corruption, there remains a gap between headline-making scandals, the policy options under discussion, and the actual evidence base drawn from empirical research on corruption. The scams that gain widespread attention are often the ones that make for the best ratings or the most sensational headlines. Our cursory inventory of corruption scandals taking place since 2000—scams that merited serious media coverage—sums to over Rs.2,607 trillion, with the median scam valued at Rs.12,000 crore. Equally costly, but far less commented upon, is day-to-day corruption that never reaches the media’s glare. Transparency International estimates Indians pay bribes totalling Rs.21,000 crore every year to access government services. India remains an integral part of Afghanistan’s steady progress in institutionalizing peace, pluralism, and prosperity. 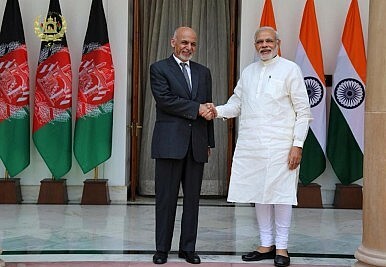 Ties between Afghanistan and India go beyond the traditionally strong relations at the government level. Since time immemorial, the peoples of Afghanistan and India have interacted with each other through trade and commerce, peacefully coexisting on the basis of their shared cultural values and commonalities. This history has become the foundation of deep mutual trust. Public opinion polls in Afghanistan confirm this, as well as the sentiment Afghans share about feeling at home whenever they visit India. Against this background of real friendship, it’s appropriate to take stock and see how far Afghanistan has gone in its journey to become a full-fledged, contributing member of the international community. It is a journey being undertaken with continued support of India, which itself is striving to become an anchor of regional stability and prosperity. "Thank you, General Raheel Sharif," reads a gigantic poster on a street in Karachi, Pakistan's southern port city and economic hub. Supporters of Pakistan's army chief, Raheel Sharif, have set up large billboards in the city, heaping lavish praise on the military general for "liberating the city from terrorists and criminals." By terrorists the army fans do not mean the Islamist groups like al Qaeda and the Tehreek-i-Taliban Pakistan (TTP), but the Muttahida Qaumi Movement (MQM), a liberal political party supported in the urban areas of the southern Sindh province. Despite being a largely secular party, the MQM has been allegedly involved in using violence as a political means to control Karachi and its economy. The MQM leadership, which represents the "muhajirs" or the people who had migrated from India to Pakistan in 1947, denies these claims. A new UN report has revealed "patterns of grave violations" during Sri Lanka's decades-long civil war and called for the creation of a special court including foreign magistrates to probe crimes committed at the time. "Our investigation has laid bare the horrific level of violations and abuses that occurred in Sri Lanka, including indiscriminate shelling, extrajudicial killings, enforced disappearances, harrowing accounts of torture and sexual violence, recruitment of children and other grave crimes." These are the words of UN High Commissioner for Human Rights Zeid Ra'ad Al Hussein presenting on September 16 his organization's long-awaited report on war crimes and abuses committed in the South Asian nation between 2002 and 2011. The 261-page-long document speaks of "patterns of grave violations" committed during the final stages of Sri Lanka's decades-long civil war, strongly indicating that atrocities were "most likely" committed by both sides to the conflict. The report also recommends the establishment of a hybrid special court, integrating international judges, prosecutors, lawyers and investigators, as an "essential step towards justice." Even by Chinese standards, the kind of attention that has been accorded to President Xi Jinping’s coming visit to America is unusual. Preparation for the trip had begun in earnest as early as February when it was first announced. Since then Chinese officials, diplomats, and scholars have spared no effort to promote the visit’s significance and potential success. In a meeting with President Barack Obama’s national security adviser, Susan Rice, who flew to Beijing in August in preparation for Xi’s trip, Chinese Foreign Minister Wang Yi described the visit as one that would determine the future direction of China-U.S. relations and influence the international and regional situation. 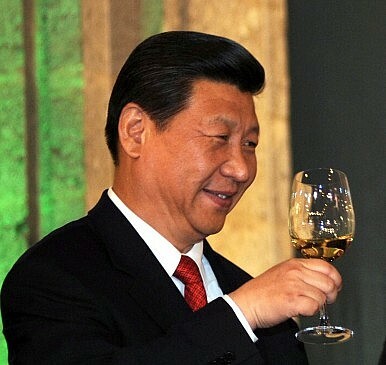 It’s official: Chinese President Xi Jinping will pay a state visit to the United States from September 22 to 25, China’s Foreign Ministry announced on Wednesday. He will also travel to New York to take part in the UN General Assembly and the celebration of the UN’s 70th anniversary from September 26 to 28. The White House also confirmed that U.S. President Barack Obama will host Xi for an official state dinner on September 25. Xi is not expected to arrive in Washington D.C. until September 24 – he will spend the first two days of his visit in Seattle, meeting with business executives. After two days in Washington, D.C., he will leave for New York on September 26. His speech before the UN General Assembly is scheduled for September 28. Now that Xi’s schedule is set, how does his itinerary stack up to other visits by Chinese presidents? Recent satellite imagery of Fiery Cross in the Spratly Islands reveals that China’s construction of facilities on the reef is more ambitious than previously appreciated, with one of its building complexes on track to rival the Pentagon in size. The complex, located in the midsection of the manufactured island a thousand kilometers off China’s coast, has a current footprint of approximately 61,000 square meters, not including large adjacent tracts where additional foundations are being laid. 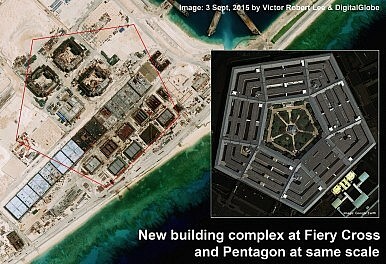 As a benchmark, the Pentagon has a footprint of 116,000 square meters, not including its interior courtyard. What Secret Projects Are China’s Top Military Scientists Working On Now? China’s military research and development program is organized around 16 “national megaprojects” that are intended to advance and transform that country’s capabilities in core technology areas including electronics, aerospace, clean energy, and so on. Three of the 16 national projects are classified and have not been officially acknowledged. 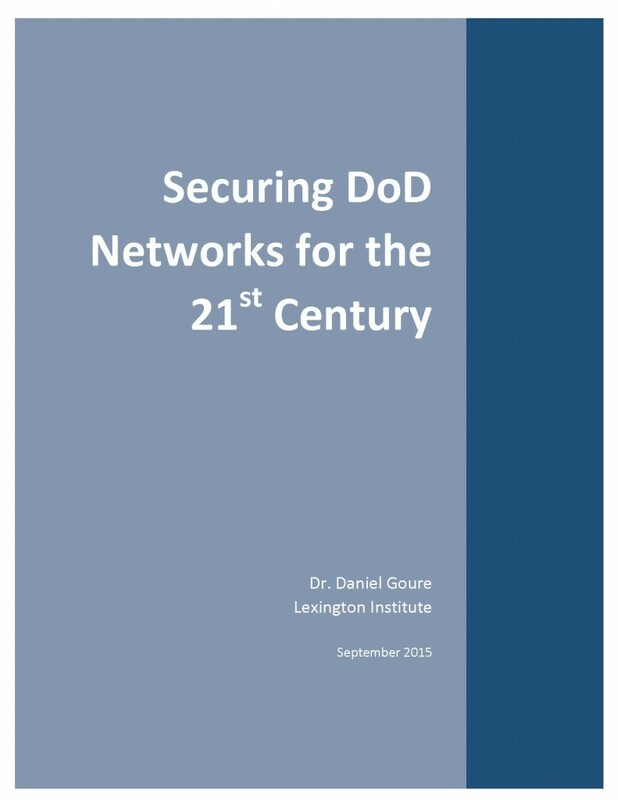 But in a recently published US Army War College volume, China specialists Richard A. Bitzinger and Michael Raska identified “three prime candidates” for the classified Chinese programs: 1) a laser fusion program; 2) a navigational satellite system; and 3) a hypersonic vehicle technology project. The Shenguang (Divine Light) laser is an experiment in inertial confinement fusion. The project reportedly aims to achieve ignition and plasma burning by 2020. “Shenguang has two strategic implications: it may accelerate China’s next-generation thermonuclear weapons development, and advance China’s directed-energy laser weapons programs,” wrote Bitzinger and Raska, who are based at the S. Rajaratnam School of International Studies in Singapore. Is the technological arms race offered by the third offset strategy desirable or even winnable? Invisibility cloaks? Mako anti-antisubmarine drones? Robotic “lobsters”? Stims? F-40 Shrike fighters? Imaginative science fiction or harbingers of the future? In his recent novel Ghost Fleet, Peter Singer, one of Washington’s most influential technologists, has written a fictional account of a future war with China that has caught the attention of national security geeks. With co-author August Cole he crafts a dystopian view of America’s wartime prospects against a fictional Chinese Directorate that allies Big Business and the PLA. It features capabilities and weapons at the far edge of the current science and technology spectrum but with just enough reality to provoke strategists and planners worried about the future of conflict. The tale is all the more credible for having been written by a Brookings Institution analyst with two big technology-centric books on drones and cyberwar under his belt, a daunting speaker’s schedule, and, presumably, an insider’s access to the latest thinking about military technologies. Instead of focusing on Chinese activities in the South China Sea, cyberspace, and the currency markets during the upcoming state visit of President Xi Jinping to the United States, the leaders should discuss the health of the global economy. If Americans focus on Chinese activities in the South China Sea, cyberspace, and the currency markets during the upcoming state visit of President Xi Jinping to the United States, they will be mistaking the urgent for the important. This summit should be about what is important: the health of the global economy and successful management of the inevitable frictions between the two largest economies. The Barack Obama administration is perceived as weak in its response to developments in the South China Sea (and elsewhere) over the past few years. 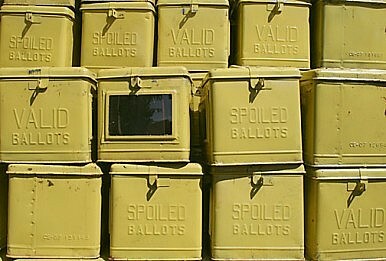 Officials have complained endlessly, but done little. This has created the false impression that the tiny islands there are at the center of U.S.-China relations, whereas they are just one among many arenas in the Asia-Pacific region where China's growing capabilities are bumping up against a security framework that has never had to accommodate Chinese interests before. The real challenge for Washington is to find a way to engage Beijing while building on the success of the alliance arrangements that have prevailed in the region since World War II. These have largely brought peace and prosperity to the region, including to China, while avoiding crippling arms races among Asia's heterogeneous nations. China's Muslim Uighur community has gained international attention both for concerns over its religious freedom, and over links to terrorism at home and abroad. Anthony Measures examines the status of the community. Amid reports on restrictions on Islamic practice for Uighur residents of Xinxiang province in China, the community has been brought to world attention. However, this focus is accompanied by concern over extremism in the region, following a growing number of attacksby militants, speculation over Uighur involvement in the 2015 Bangkok bombing, and a number of Uighurs travelling to join ISIS. The Uighurs are a majority Muslim indigenous ethnic group from Xinjiang province, also known as East Turkestan, in north west China, with a history and culture distinct from the Han Chinese majority. In the 1990s a movement for the independence of East Turkestan – as Xinjiang province is also known – gave rise to a number of Uighur separatist groups in the province, some of which launched attacks against the Chinese government. The most well known of these groups is the East Turkestan Islamic Movement (ETIM), a Muslim separatist group founded in 2000 by Hasan Mahsum, a Uighur from Xinjiang's Kashgar region. The past few days have seen a steep increase of evidence revealing the true extent of direct military involvement by the Russian military on the ground in Syria. The sighting of recently delivered Russian UAVs and Russian BTR-82Ainfantry fighting vehicles (IFVs) in addition to sound fragments confirmingRussian military personnel directly participated in one of regime’s offensives in the Lattakia Governorate all proved Russia was deeper involved in the Syrian Civil War than many previously thought. In the latest edition of ISIS' propaganda magazine, Dabiq, the group promotes an image of itself as an underdog against a global coalition, and condemns the flow of migrants rushing towards Europe. The 11th edition of ISIS' propaganda magazine, Dabiq, published by the group on 9 September 2015, includes an extensive narrative on the various coalitions fighting the group, and draws on a number of high-profile recent events to support its ideas. It aims to reinforce its binary picture of the world, divided into supporters of ISIS, and its enemies. The group draws on a historical battle from the Prophetic period to establish that today ISIS is the sole vanguard defending Islam from a wide-ranging group of coalitions. The battle of al-Ahzab or the Confederates, in which the early Muslims were outnumbered against a coalition of groups from across the region, is presented to the audience as a direct parallel to the situation that ISIS is facing today. But instead of facing tribes and groups from around the region, ISIS puts forward a far grander narrative in which a number of countries from around the world have entered into an expansive coalition against ISIS. While the existence of some kind of coalition fighting against ISIS doesn't seem at all ludicrous, the bizarre coalition that ISIS views presents Russia, Iran, and Syria as "the most important allies" of the United States. Many outside observers view the Russian military buildup in Syria as a way for President Putin to force his way through to the negotiating table with Barack Obama ahead of the UN General Assembly meeting in New York. There is some truth to that. To be effective, diplomacy should be backed by facts on the ground, and Moscow is busy creating them—in the face of mounting U.S. concerns. However, coercive diplomacy is just another form of diplomacy. The current spike in Russia’s involvement in Syria, however, does not need to be linked solely to UNGA. Even without it, Moscow would now be sending more weapons and more instructors to Syria. As the Islamic State has expanded its control over more territory in Syria, it has posed more of a threat to the survival of the Russian-backed regime in Damascus. Thus, Moscow’s Plan A now is to help Bashar al-Assad keep his remaining strongholds; its Plan B is to help him secure the Alawite enclave around Latakia. But for Australia, these tests and others served a murkier purpose – as important and deliberate steps toward Australia’s own acquisition of nuclear weapons. 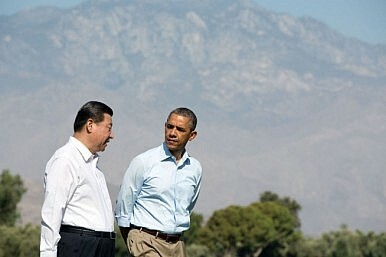 The US ‘rebalance’ to the Asia–Pacific has been under way since late 2011. Then Secretary of State Hillary Clinton wrote in October 2011 of a “strategic turn to the region…to secure and sustain America’s global leadership”, and President Obama’s speech to the Australian parliament in November 2011 gave a presidential imprint to the policy. So, almost four years later, how’s the U.S. tracking in Asia? The evidence is mixed. The U.S. is undoubtedly tracking better in Northeast Asia, where assurance concerns amongst Japanese and South Koreans have been quieted, though not resolved. Both countries remain anxious about the threat posed by North Korea and uncertain about China’s ambitions and future. But US actions, including Obama’s affirmation that the Senkakus are protected under the U.S.–Japanese security treaty, have bolstered Washington’s regional profile. And the faltering Chinese economy has suddenly lost some of its 30-year allure, blurring linear predictions about the strength of Beijing’s long-term challenge to the regional order. The European leaders who have remained in power since the economic crisis of 2007-2008 is a lonely list. Of the twenty-eight countries in the European Union, only one has had the same head of government since 2007. German chancellor Angela Merkel is without peer in the power she commands in Europe, having been central in every major issue from the sovereign debt crisis to the recent refugee influx. Within Germany, too, she is uncontested. In the time Merkel has been head of the Christian Democratic Union (CDU), half-a-dozen leaders have helmed Germany’s other major party, the Social Democrats (SPD). The Economist recently wrote that British prime minister David Cameron could learn from Merkel how to govern in the absence of a meaningful opposition. This November, Merkel will mark a decade in power, and reports are she will seek a fourth term in 2017. However, Merkel’s bargain with the German people—the bargain that has underwritten her policies and sustained her popularity within Germany—is showing signs of wear. Her power and popularity will likely continue, but how she governs Germany in the future will out of necessity look different from past years. When a July 2015 undersea tremor triggered a rockslide between the islands of Saipan and Tinian in the Northern Marianas Islands, it cut the only fiber-optic cable connecting the archipelago to the global network. Air traffic control grounded flights, automated teller machines shut down, web and phone connections broke. All the feared impacts of a cyber attack became real for the islanders. A Taiwan-based cable repair ship eventually restored the link, but that was a single break from one natural occurrence. How much more disruption could a deep-sea-faring nation cause its rivals through malicious intent? Though often mentioned in passing, the fact that the overwhelming bulk of Internet activity travels along submarine cables fails to register with the public. High-flying satellites orbiting the crowded skies, continent-spanning microwave towers and million miles of old 20th Century copper phone wire all carry but a fraction of the Earth's Internet traffic compared with deep-sea fiber-optic cables. All that buzz occurs in the dark cold parts of inner space and a few very quiet places on land. If you want to tap into that buzz, those quiet places where the sea cables make landfall—from the onshore facilities out to deep-water offshore—are your prized targets. The U.S. has developed exquisite abilities to access underwater things. As Indian foreign policy analysts worry about a possible 'axis' between China, Pakistan and Russia against India, the author explains how some misunderstandings stem from translations with multiple meanings. A spectre is haunting Indian minds — the spectre of a Russia-China-Pakistan ‘Axis’ directed against India’s security and vital interests. At least judging by local media comments and academic discourse one gets this impression. The world powers agree that the Islamic State must be defeated, even though they disagree on how to do it. Now Washington is angry with the Russian activism in Syria, but a degree of coordination is advisable. It was only a matter of time. After nearly 14,000 refugees arrived in the Bavarian city of Munich during the weekend of September 12–13, the local authorities said they had run out of accommodation. They were also running out of patience with Berlin. Thomas de Maizière, the German interior minister, announced on September 13 that Germany’s border with Austria would be temporarily closed—only days after Berlin threw open its frontiers to refugees. “This measure is also a signal to Europe” that more needs to be done, and quickly, de Maizière said. “Introducing temporary border controls will not solve the whole problem,” he said. In Germany, the immense groundswell of support from the public for opening the country’s doors to refugees fleeing Syria, Iraq, and Eritrea is as strong as ever. Estimates that 800,000 refugees will arrive in Germany by the end of this year have left the public unfazed. And Chancellor Angela Merkel has become the heroine for human rights groups and liberals across Europe for her policy toward the refugees. She has also, however, become the bête noire for the governments of Eastern and Central Europe. They don’t want to be told by EU leaders, especially Merkel, that they have to share the burden of accepting refugees. In March 2014, Lindsey Graham, the outspoken U.S. Republican senator who is now running for president, referred to Russia as merely “an oil and gas company masquerading as a country.” Graham is known for making alarmist and controversial statements—he recently said that falling oil prices were the result of a plot by Sunni Arabs against Iran and Russia—and it would be easy to dismiss this one as yet another outlandish bid for publicity. Before we quickly dismiss Graham, however, we should recall the words of Leonardo da Vinci, “We derive more benefit from having our faults pointed out by our enemies than from hearing the opinions of friends.” Given that the fall in oil prices appears to be a long-term trend, if Graham is actually right, Russia is facing an economic crisis the like of which it hasn’t seen for many years. At first glance, it is absurd to call Russia “merely an oil and gas company.” The share of hydrocarbon production in the country’s GDP has not exceeded 26.5 percent for 25 years and the share of oil and gas export has not risen above 14.5 percent of GDP. Those who champion Russia’s underlying economic stability point to these very reasonable numbers. But things aren’t quite so simple. Although three quarters of Russia's official GDP is not pouring out of its oil wells, the country is still heavily dependent on oil. We also need to identify how the non-oil components of Russian GDP are financed. Kyrgyzstan, as I have detailed before, is using a new biometric registration system for voting in the upcoming parliamentary election, scheduled for October 4. The law making registration — which requires submission of a fingerprint, photo and signature — mandatory in order to vote was recently upheld as constitutional by the Constitutional Chamber of Kyrgyzstan’s Supreme Court. CHANTILLY, Va. — On a recent Wednesday morning, 100 intelligence analysts crammed into a nondescript conference room here and dialed into a group call with 100 counterparts in Argentina, Brazil, Cyprus, India, the Netherlands, Romania, Spain, Taiwan and Ukraine. A few weeks ago, I wrote about A Puzzling Encryption Story. The post reported a news story about a Florida man who had kept classified material on his computer protected by the TrueCrypt encryption program. According to the news story, the FBI had "cracked" the encryption. I asked our readers for their thoughts on this -- particularly because I had understood that TrueCrypt was not crackable. I speculated that some endpoint attack might have been used, but wondered what sort of such attack it might be. Our readers responded. They all agreed that the mathematics behind TrueCrypt made it highly unlikely that the encrypted volume had been decrypted by some brute force attack. Beyond that they seemed to divide into two groups -- those who saw the problem as a technical one and those who saw it as a social one. One reader noted that encryption passwords are stored in RAM and that thepasswords are retained for seconds (if not minutes) even after the computer is turned off. He speculated that the password might have been recovered that way. A Solution to America's F-35 Nightmare: Why Not Build More F-22s? America’s F-35 clearly has its share of problems. Such challenges only compound the U.S. Air Force’s real dilemma: not having enough dedicated air superiority fighters as potential competitors like Russia and China beef up their own capabilities. The problem stems from the fact that the Air Force’s Lockheed Martin F-22 Raptor fleet was terminated after only 187 aircraft were built–less than half of the 381 jets the service needed as a bare minimum. Speaking to reporters at the Air Force Association convention in National Harbor, Md., just outside the capital, Air Combat Command commander Gen. Hawk Carlisle said he would love to see the Raptor back in production. “I dream about it every night,” Carlisle said. Indeed, the Raptor has proven to be a formidable warplane with its unique combination of stealth, speed, maneuverability, altitude and sensors. It’s simply the best air superiority fighter the United States has ever produced and it was a foolish, shortsighted decision to end its production run prematurely. The Fed is in the middle of a debate of its own creation: How do policy makers approach a slow growing U.S. economy? Given its mandate, the Fed has had little choice but to undertake QE and maintain a “zero interest rate policy” (ZIRP) since December 2008. And from the perspective of the Fed, the United States has weathered the storm well thus far. Now, as the world focuses on the timing of the Federal Reserve’s rate increase and the end of ZIRP, the Fed will have to consider the price it has paid for its interventions. It may be that without beginning to normalize policy—quickly—the Fed will have limited its ability to influence the economy in the future. There are two principal reasons for this: demand exhaustion and excess (aggregate) supply. Exhaustion and saturation is a product of a limited capacity by governments and individuals to consume. Inspired by low interest rates, governments and consumers have leveraged themselves, and are in no position to reaccelerate their consumption patterns. In the United States, debt service payments as a percentage of income are hovering near record-low levels. But consumer debt levels in the United States continue to increase. A significant amount of the borrowing is related to student loans, which cannot be reduced through the bankruptcy process. Low interest rates have helped to refinance and lower the ongoing burden of the obligations, but there has been minimal deleveraging. This is not merely a U.S. phenomenon. Lower rates have pushed the cost of carrying debt down virtually everywhere. One of the largest breaches of US government data in history is somebody else’s responsibility, counterintelligence officials told senator Ron Wyden in a formal letter passed to the Guardian on Wednesday. The Democratic senator from Oregon last month submitted three questions to the National Counterintelligence and Security Center (NCSC) about the hacking earlier this year of the Office of Personnel Management (OPM), in which the personal information of 21 million people was exposed. In August, Wyden asked whether the NCSC had identified as a security risk the OPM’s giant database of federal security clearances, which includes personal and identifying information as private as psychiatric evaluations and social security numbers. Wyden also asked whether the NCSC had made any recommendations related to better securing the database, which retains data going back to 1985. The theft of the information exposed some 21 million current, former and prospective government employees and has been attributed to Chinese hackers by the US government. The placement of blame is at the forefront of many minds in the nation’s capital. FORT HOOD, Texas (Sept. 14, 2015) – Soldiers, with the 504th Battlefield Surveillance Brigade, received an increase in their intelligence capabilities, Sept. 1, when they fielded the improved Prophet System and Modular Integration Kit mounted on mine-resistant, ambush-protected-All, or MRAP-All, terrain vehicles, or M-ATVs. The systems provide a clearer picture of the battlefield, enabling commanders to make better-informed decisions on-the-go. The Prophet family of systems consists of mobile and/or fixed-site signals collection, direction finding, processing and reporting assets. The system requires human intelligence collectors to operate the vehicles and signal intelligence analysts to operate the Prophet system, said Staff Sgt. William Geimausaddle of A Company, 163rd Military Intelligence Battalion, 504th Battlefield Surveillance Brigade. Additionally, the system will foster closer collaboration among signals intelligence collectors and human intelligence collectors, whose mission is providing a current and forecasted battlefield “picture” to unit commanders. 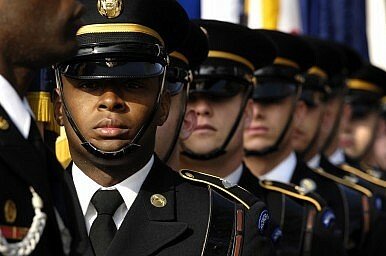 Joining a chorus of senior Pentagon officials and military officers, acting Undersecretary for Personnel and Readiness Brad Carson warned in an interview with Stars and Stripes that the U.S. Army – the world’s deadliest conventional fighting force – will be near breaking point if automatic sequestration, set to begin in October, takes place.